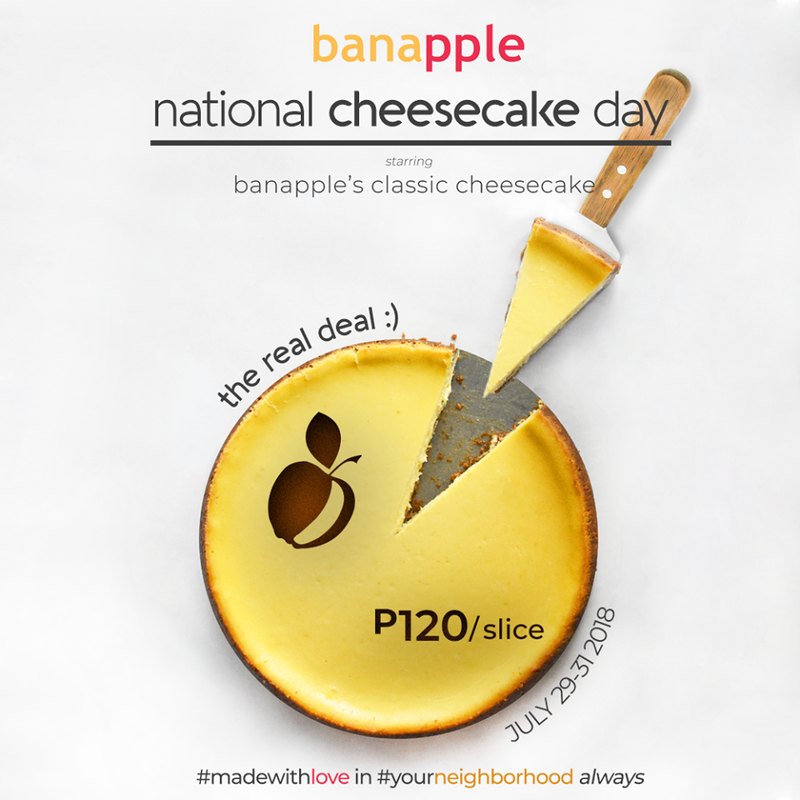 As Banapple celebrates 11 years of serving you your yummy cheesecake favorites, you'll get to enjoy the real deal cheesecake this NATIONAL CHEESECAKE DAY! From July 29 to July 31 2018, grab a slice of BANAPPLE'S CLASSIC CHEESECAKE for only P120 per slice! *promo valid for dine-in only in all Banapple branches!